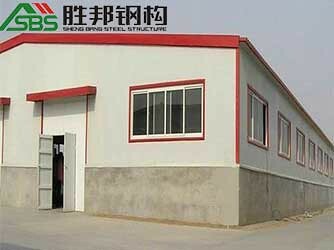 A steel structure factory isn’t only used to build towering skyscrapers, giant agriculture buildings or garages. There’s a surprising amount of usages for steel structure fabricators or a steel structure factory than that. Below we share some of the distinct benefits that steel, in general, can provide you. This may seem jarring since if you weigh a 2x4 block of wood it’ll be lighter than 2x4 block of steel. That being said, when the steel structures factory uses the steel for framing a building, we’ll see that a steel I-beam is lighter than the lightest wood beam design. Because of this fact, steel reduces the shipping costs and also simplifies the design of building foundations. This is done because steel is so durable you’ll need less of it when compared to supporting buildings via wood or other materials. With growing need for speed, many clients are demanding buildings that are both cheaper and faster built. We’ll be getting to the saving money portion in a bit, but for now, let’s focus on the construction time. Because of this higher demand for faster projects, architects, and especially a steel structures company can feel the pressure. In many cases, manufacturers and businesses may cut corners. The thing is that isn’t the case with steel structure manufacturers, steel structure fabricators or a steel structures company for that matter. The big reason for that is steel parts are already pre-engineered to a certain design well before construction projects are started. All a steel structures company needs to do is place the order for what they need. What’s also to note is that at the steel structure manufacturer level, the fabrication process is very much quality controlled. With managers in place to address issues and steel already pre-cut there is less human error too. Steel structure fabricators, steel structure manufacturers, and a steel structures company all save money when they rely on steel. When they build, the building process is easier and faster than when using other materials. Furthermore steel can reduce labor costs and construction time because of a few other reasons too. Some of those reasons for lower costs come in the form that steel can be recycled by the steel structures company and have the material repurposed. There is also the durability which limits structural problems and maintenance fees as well as repairs. Lastly, because the demand for steel is rising, companies have been strategic in how they repurpose and innovate with steel. Steel structure fabricators and a quality steel structure manufacturer know that they need to be creative with their steel now. Steel is highly versatile. From framing and beams, steel can be molded into any shape or size. Because of that, architects and designers can use steel to meld it into a variety of buildings. To put it into perspective how far it’s gone, steel is a material that is now considered in the construction of residential houses. Furthermore, homeowners can consider steel sidings, steel beams in the ceiling (thus negating the space where multiple wooden beams are), and even steel or metal roofs. The recycled aspect of steel is especially prominent these days. In fact every year at least 80 million tons of steel is recycled every year. Steel is one of the world’s most recycled product and because the recycled process reduces energy intensity and usage this drops CO2 emissions as well. Steel can provide a lot of benefits, but only in the hands of a quality builder and the quality of the material. When these two conditions are met, steel can be used in creative and beneficial ways that you can’t even imagine. 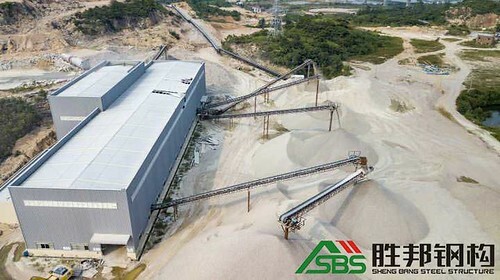 To learn more about it and how we at Foshan Shengbang Steel Structure Co.,Ltd. (SBS) can help you, get in touch with us here.